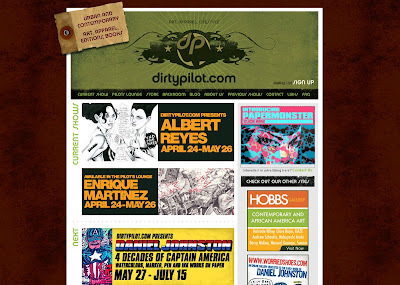 I have always tried to challenge myself and this upcoming September (DirtyPilot.com) and October (Metropolis Gallery) will prove just how much I have pushed myself for my two solo shows (back to back) to create some incredible and beautiful pieces. All of the pieces for both shows are aimed at being as accessible/affordable as possible to everyone. Metropolis Gallery has just received 5 new pieces from PaperMonster which will show on July 4th before my solo show takes place during October. 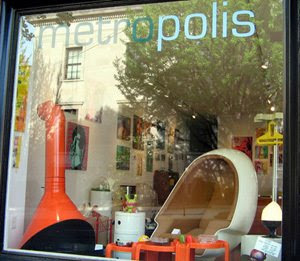 My Metropolis Gallery Solo Show is going to be a massive event and it will truly go down as a visual feast. 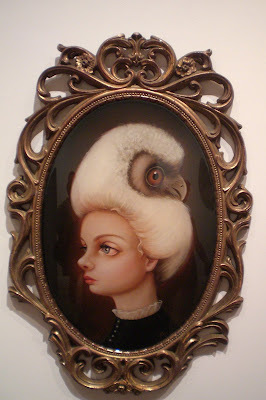 Mike Egan (Here) will be having a solo show titled “Praying at the Funeral” taking place on July 4th for Metropolis Gallery so if you are in the area you must check it out. 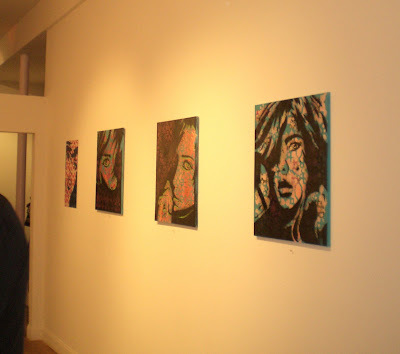 I truly love these three pieces shown above. They are portions of larger stencils yet they show fantastic emotion. You can catch the original stencil for “Chase” in Stencil Nation by Russell Howze. Enjoy and Stay Posted For More!! 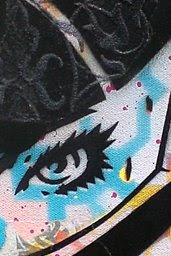 As promised here is a new sneak preview of the upcoming show “Inked Souls” for Art Whino Gallery (www.artwhino.com) which will take place on August 2nd from 6pm-Midnight. 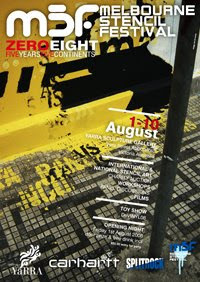 I will soon have the show flyer which will show the incredible lineup of 32 artist taking part in this monumental show which has been organized by Art Whino and TAGUR (www.tagur.com.) 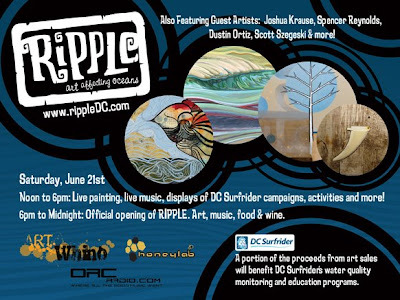 PaperMonster along with the other artist will exhibit their custom shoe creation along with one canvas piece. The show, lineup of artist and variety custom TAGUR shoes are going to make history. Stay tuned for more info. There are some incredibly exciting things all coming in August!!! 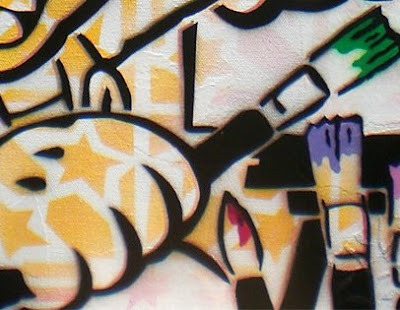 While there are two solo shows coming in September and October, PaperMonster will be taking part in the 2008 Melbourne Stencil Festival (www.stencilfestival.com) in Melbourne, Australia and the i am 8-bit show (www.iam8bit.net) in California both taking place in August. Check out a sneak previews of two pieces for the i am 8-bit below. 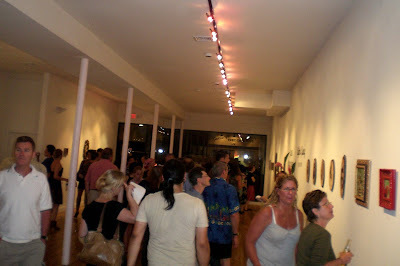 Also Art Whino Gallery and TAGUR (www.tagur.com) are putting together a very exciting show incorporating beautiful art and custom shoes. 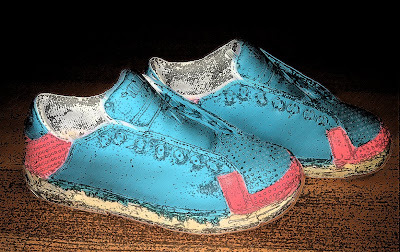 PaperMonster will be creating a custom shoe for the show and it is looking to be beautiful. You can check out a preview of the base colors for the shoe. Much more exciting news coming soon. Stay tuned!!! The festival is going to blow people away. Who could this be? Lets just say she looks amazing. 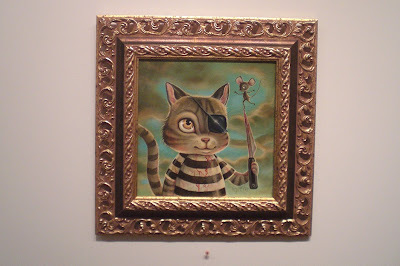 PaperMonster x TAGUR for Art Whino Gallery. They will blow you away. 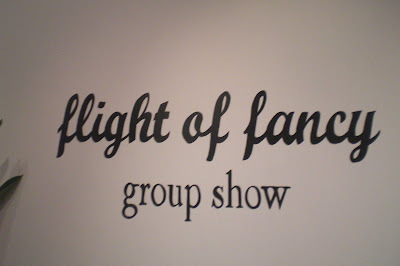 More on this show coming soon. P.S. A very exciting post coming by this weekend with some sly previews of some work. Two beautiful packages came in the mail yesterday. 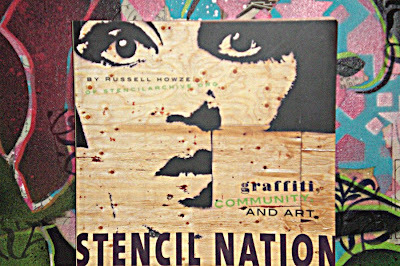 One, the highly anticipated Stencil Nation Book by Russell Howze (www.stencilnation.org.) 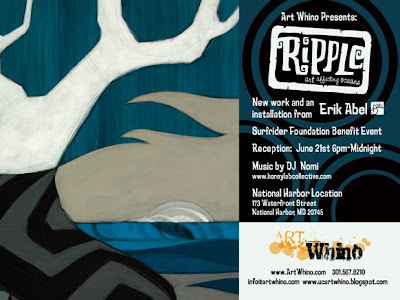 The second package involves a very exciting show coming up fro Art Whino in a couple of months. You can catch a hint towards the end of the post. Now back to talking about Stencil Nation!! It truly captures the roots as well as present/future state of stencil art. 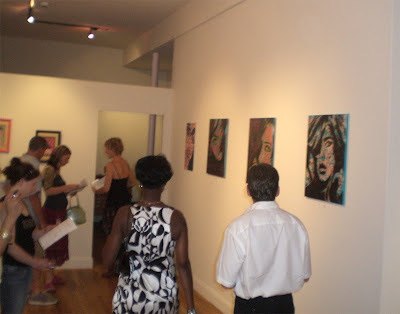 In it you will find photos and commentary covering topics/artist throughout the world. 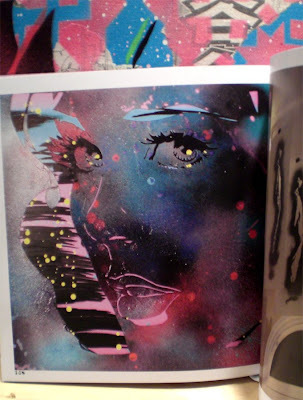 The book covers it all from the most simple yet powerful stencils from people just inspired to leave a message, to the most dedicate artists in the world exploring the possibilities of beauty behind stencil art. 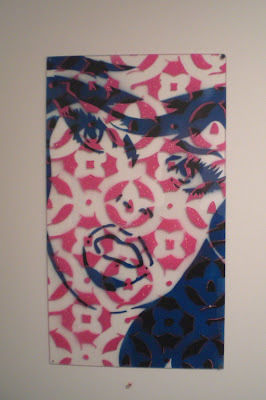 There is a remarkable Chronology of stencil art history as well as a section purely dedicated to shedding light into the best tips for any artist who is looking to explore and have a hands-on approach to stencil art. I highly suggest you pick up a copy. Bookstores in NYC have already sold out of the book (I have the best sources aka Ren.) 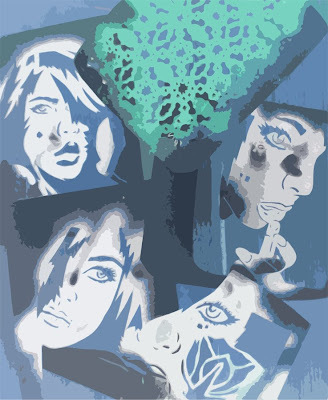 Make sure to visit www.stencilnation.org and pick up a copy or visit your local bookstore. If they don’t have it, take a piece of paper and write the name as big as possible for them so they can order it!! A huge thanks to Russell Howze for truly putting a incredible piece of art together. Thank you. Check out some of the appearances by PaperMonster in the book below. Amazing!! Fantastic cover and great size. There is a slight hint of an upcoming sticker design. What could it be? This is in the stencil cut-outs section. Fantastic. 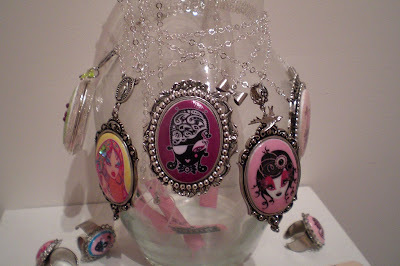 Stenciling tips by PaperMonster and several other artist. 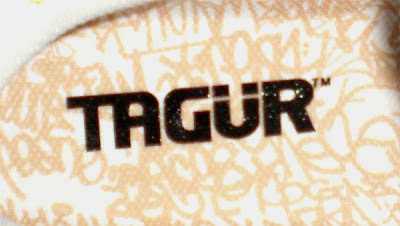 TAGUR??? What could this new project be about??? Stay posted!! This past weekend marked an incredible event known as the Tri-City Arts Tour/Festival in NJ bringing together Red Bank, Long Branch, and Asbury Park. 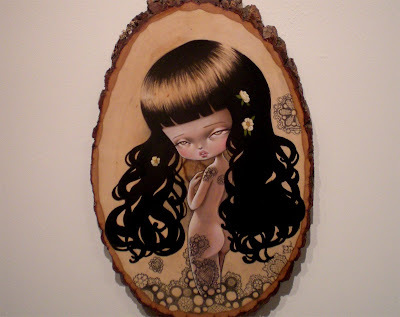 CryBaby Art Gallery (Asbury Park, NJ) put together two incredible shows: one solo show by Bethany Marchman and the other a group show featuring PaperMonster, Pilar Alvarez, Shaunna Peterson, KuKula, Kelly Haigh, and Carrie Ann Bade. Both the show and festival were incredible. 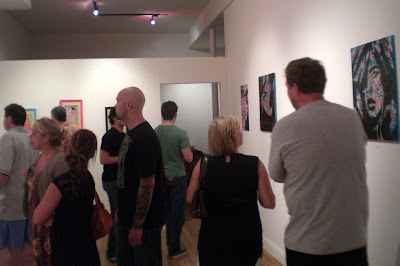 I have never seen such a large amount of flow into a gallery from all ages and see so many people with such a true love for the art. The streets were filled with people sharing art and there was everything you could imagine. It was truly a visual grenade for your eyes. 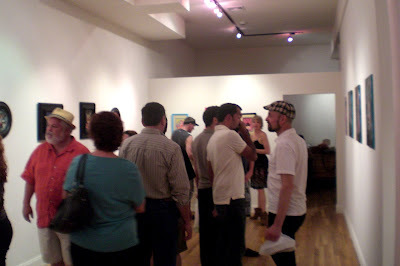 Check out some of the pics from the show below and thank you to everyone who came out. I have never handed out so many PaperMonster stickers ever!! It was incredible!! 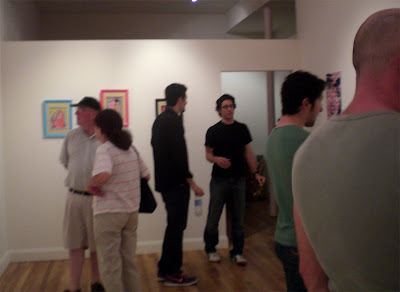 Thanks to everyone again and thanks to CJ, Jenn, and everyone at CryBaby Gallery for an incredible time!! Amazing crowd and it was great to hand out tons of free stickers!!! 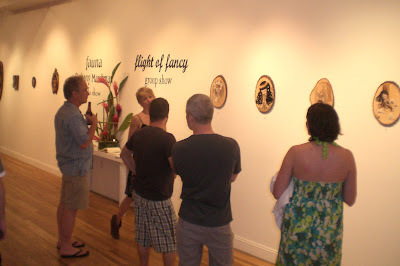 CJ chatting it up in front of KuKula’s work!! Chatting it up on some future collabs. 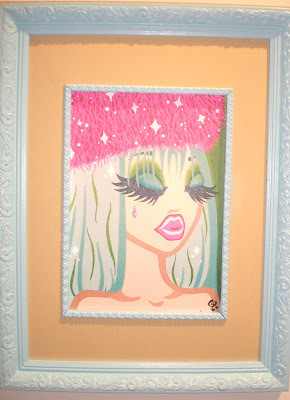 PaperMonster piece on plexi which received an incredible review from a very drunk man. Amazing!! Hope you enjoyed the pics!! 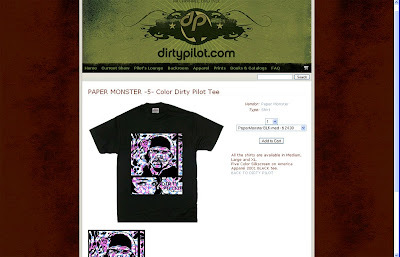 DirtyPilot x PaperMonster T-Shirt Release!!! 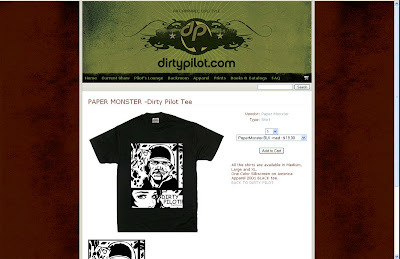 All shirts are printed on American Apparel !!! Much love to Seshn and DirtyPilot for the incredible work!! 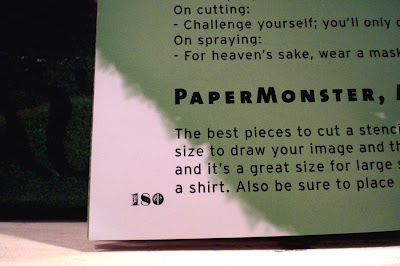 You are currently browsing the PaperMonster Stencil Graffiti Artist blog archives for June, 2008.